John Chamberlain was an influential American sculptor best known for his large-scale, crumpled scrap metal works. 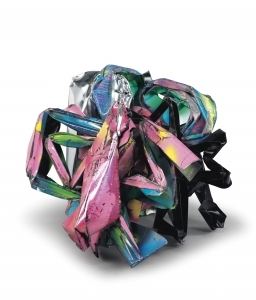 Chamberlain was born on April 16, 1927 in Rochester, IN and studied sculpture at the famed Black Mountain College. 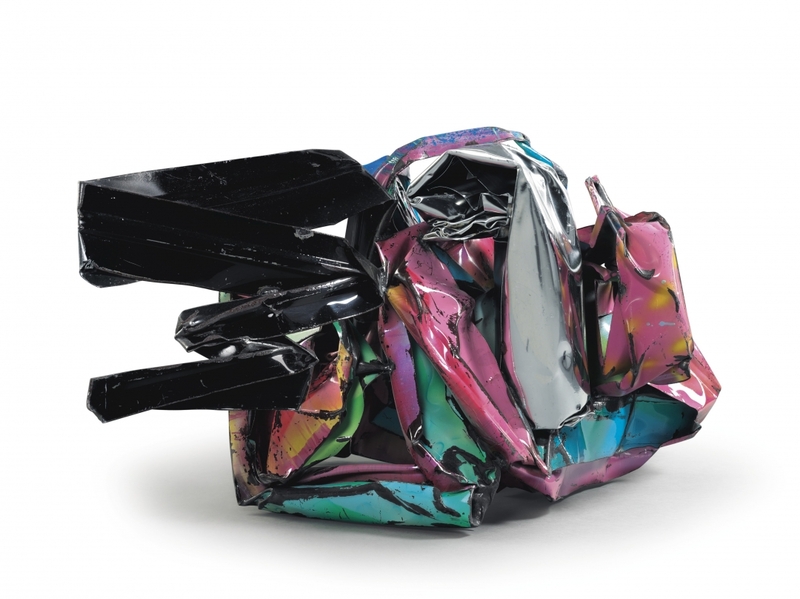 From the earliest years of his career, Chamberlain used readily available scrap metal for sculpture: his first major work was the archetypal Shortstop (1958), a pitch-black assemblage of car fenders, inspired in part from the readymades of Surrealism. Throughout the 1960s, Chamberlain continued to experiment with this method of fusion and collision, trying different materials such as plexiglass and even foam to create many pieces which remain untitled. 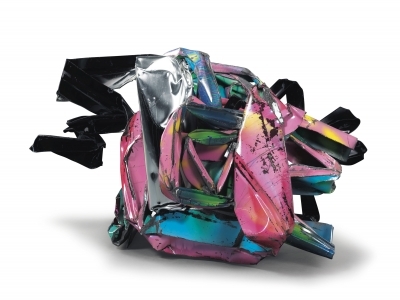 One of his most-famous and ambitious works, American Tableau (1984), shelved different crushed cars of varying color side by side, creating a veritable towering pageantry of sculpture. 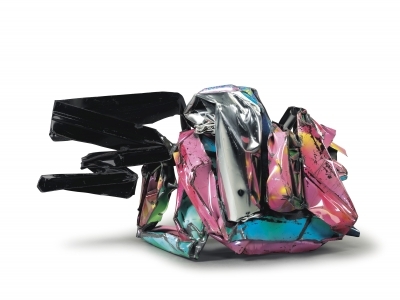 Chamberlain’s works have been exhibited widely, and his collection of crushed cars is on permanent display at Dia:Beacon in upstate New York. He was awarded twice a Guggenheim Fellowship, and in 1993 was given a Lifetime Achievement Award in Contemporary Sculpture from the International Sculpture Center. He died on December 21, 2011 in New York, NY at the age of 84.